Our Studio is located at 119 West Main Street, Berryville, VA 22611. 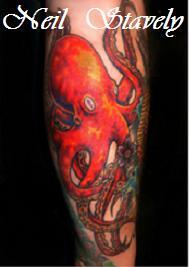 Body Art Tattoos LLC contracts with Virginia State licensed Tattoo Artists and offers guest spot opportunities with Tattoo Artists from around the United States. We do not offer piercing services at this Studio. Artists prefer that you schedule your time with them. It is very helpful if you visit us to consult in person or send an email with attachments/images before calling to ask for a price quote or to talk with an Artist. This way, he or she is able to see the style/types of imagery you are working with. 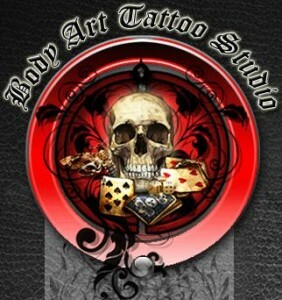 Body Art Tattoo is typically open Tuesday through Saturday from 10 am to 6 pm. The Reception Desk closes to the public at 3 pm on Tuesdays. Please email or call ahead to schedule. Appointments can be booked between the hours 10 am to 6 pm on Tuesdays, Wednesdays, Thursdays and Fridays. “Walk Ins” are serviced on a first come, first served basis on Saturdays. Give your friends and family and those you love a gift to last a lifetime! If you are looking for a way to celebrate Birthdays, special Holidays, Anniversaries, “I love you” or “Just Because” days, Body Art offers Gift Cards for you, your family and friends. Please read the Virginia regulation laws regarding the requirements for tattooing of minors, noted above under the “Minors” tab. We do not do piercings. For piercings, the Artists recommend Body of Expressions in Winchester, VA. 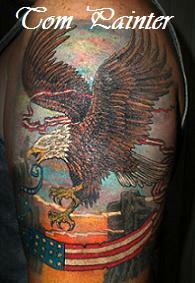 Body Art is a licensed Tattoo Laser Removal Studio offering economical, safe, credentialed laser removal services. If you’re interested in learning more about the laser removal process give us a call at 540-955-0111.